In this case example we designed playful and cheerful brand for a cat treat product line. This is how Coucou! brand was born; in co-creation with the client we created a strong brand identity that emphasises its playfulness through cartoonish cat illustrations. The logo, colour scheme and brand communications all support this cheerful approach. 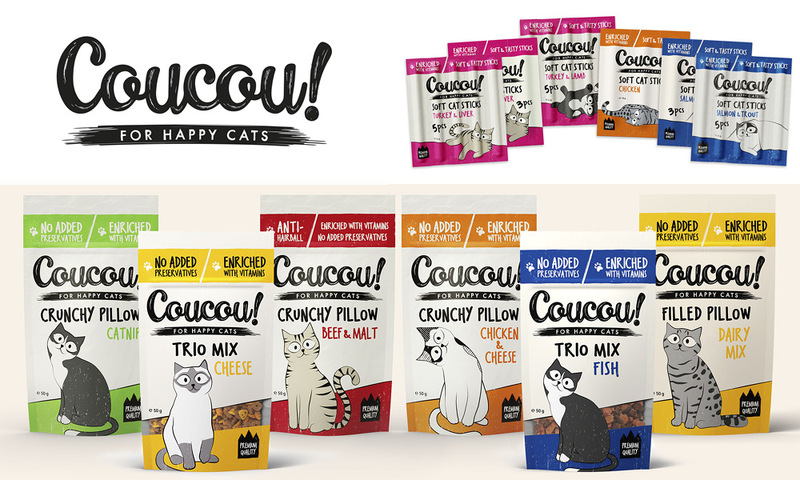 During the brand creation we also took into account the versatile packaging range for CouCou! product family which made it easier to enlarge the product portfolio later on.